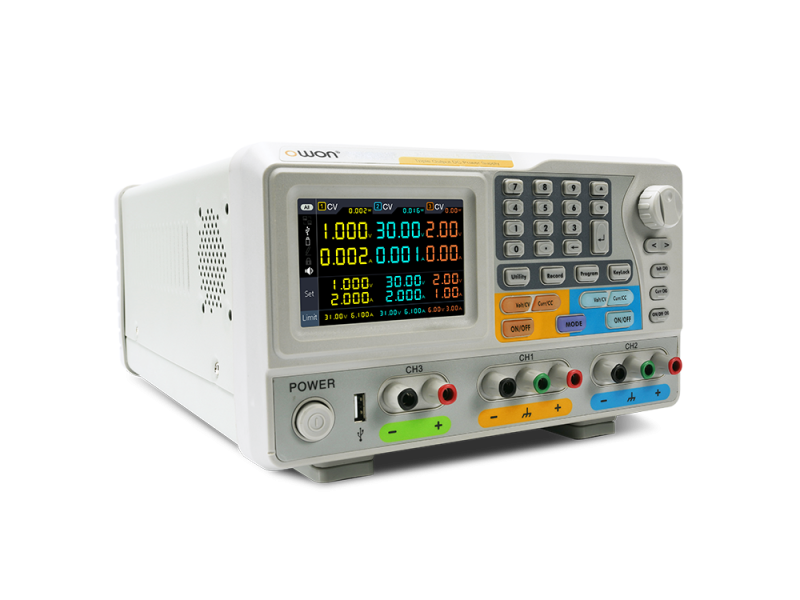 An accurate professional power supply by Owon, the ODP3033 capable of delivering 195 Watt. 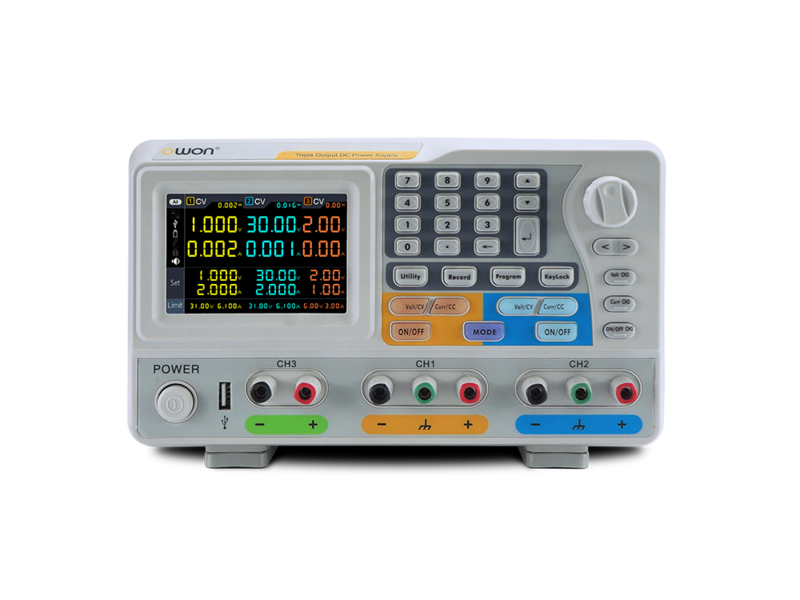 This supply can be set accurately with a precision of up to 1 mV and 1 mA. 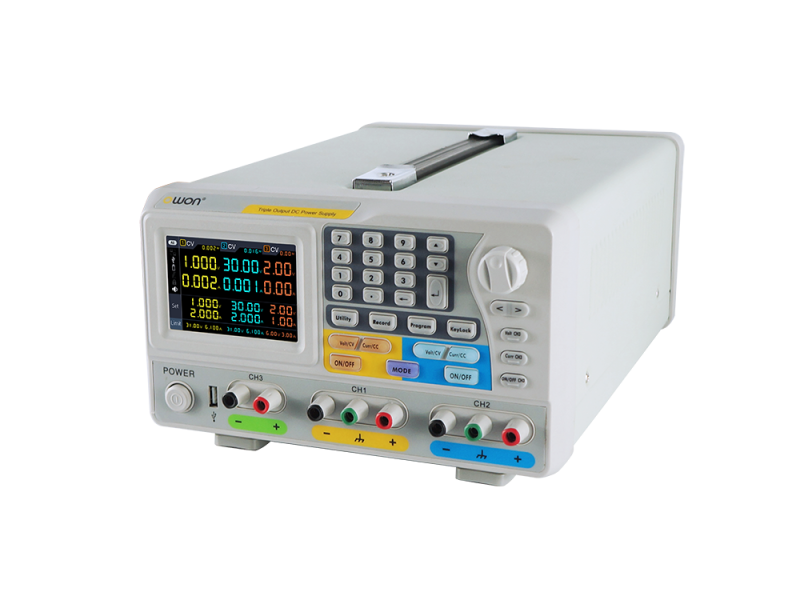 The output noise is less than 300 µVrms / 2 mVpp. The supply has a built in cooling which prevents overheating. The supply has three channels of which 2 can be adjusted freely. The third channel is set a fixed supply of 6 V / 3 A and therefore perfectly suited for supplying most circuits of power. 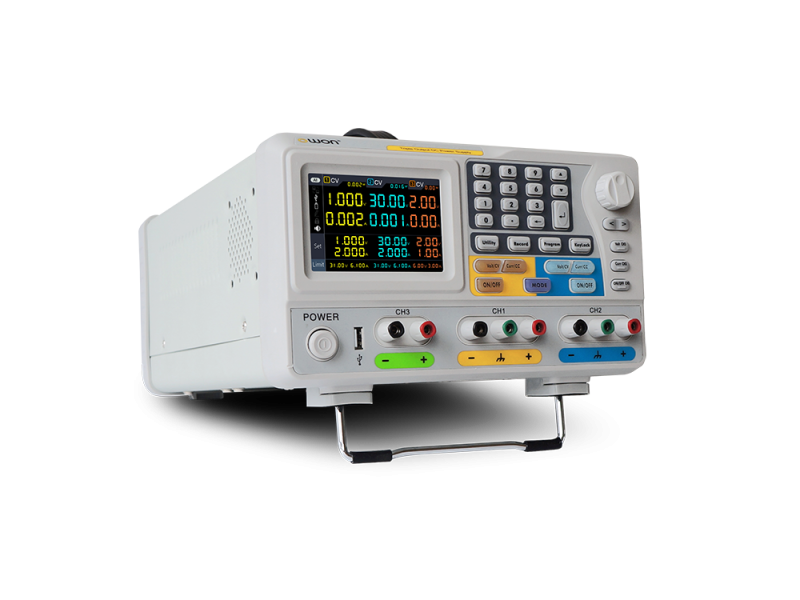 The channels are isolated individually which results in the low noise and high accuracy. A nice feature of the supply is the possibility to program arbitrary waveforms with up to 100 points. This allows users to use the supply as a basic waveform generator. Apart from that presets can be stored in 10 groups to quickly switch between different voltage and current levels. On the 4" LCD screen not only the current and voltage of the different channels are displayed, but the screen displays the drawn power at the same time. 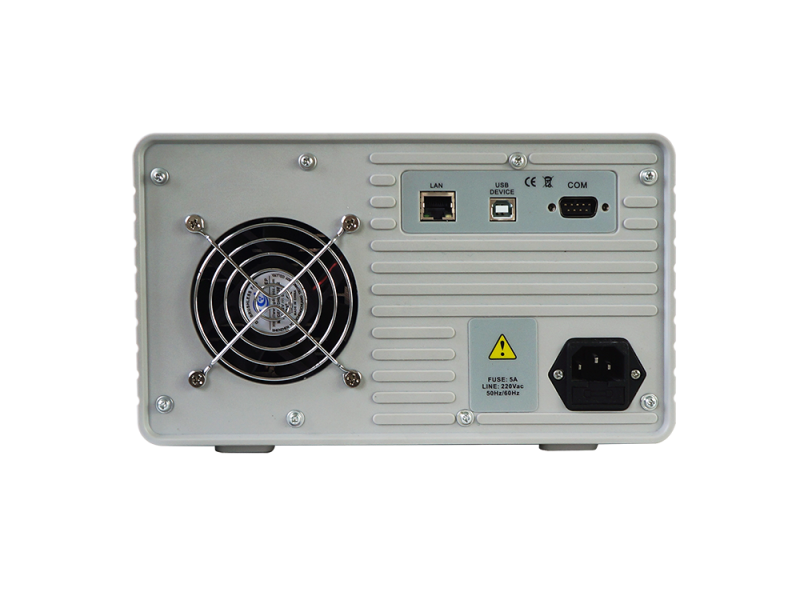 Featuring a USB and a RS232 interface the supply can be programmed and controlled remotely using the supplied software.